What Scholarships Are Offered By Graduate Women Victoria? See GWV scholarship list 2019 for a list of scholarships to be offered in 2019. But note that our scholarship offerings may change from year to year. Changes to the program will normally be announced on this website in December to be awarded in the following year. Does Graduate Women Victoria Offer Scholarships For Undergraduate Study? There is only one scholarship for undergraduates: the Marilyn Godley scholarship for an Indigenous female student. Am I Eligible To Apply For Any Of These Scholarships Or Bursaries? Other eligibility requirements are set out in the page for each category of scholarship. What is meant by ‘WISENet Donor Bursary-teaching STEM’? The WISENet Donor Bursary is intended for a female student who is planning to teach STEM (Science, Technology, Engineering and/or Maths). Students should indicate their interest in this bursary on the GWV application form for the Masters of Education/Teaching category of scholarships and bursaries. I am enrolled in a Masters degree in primary education– am I eligible for these awards? I am enrolled in course units which if completed successfully will lead directly into further units towards a Masters Coursework Degree. Am I eligible to apply for a scholarship in the Masters Coursework category this year or should I wait until I have completed those units which would make me eligible for the award of Bachelor degree? To apply, you need to have successfully completed all those units which would qualify you for the award of a Bachelor degree. I am enrolled for a one-year professional Masters Degree-am I eligible for the scholarships and bursaries in that category? What Kinds Of Disadvantage Are Recognised? Which universities are meant by “Victorian Universities”? Students enrolled at a Victorian Campus of the Australian Catholic University may also be eligible. I do not live in Victoria, but I am enrolled online in a Masters degree in Education in a Victorian university. Am I eligible to apply? Yes, online students are eligible if they meet the other criteria. Do I Have To Be A Member Of Graduate Women Victoria In Order To Apply For These Scholarships And Bursaries? No, you do not need to be a member of the Graduate Women Victoria or an affiliated association in order to apply for our scholarships and bursaries. 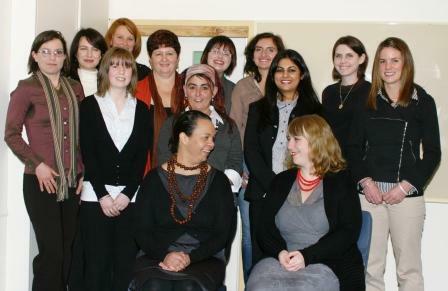 However, you may need to be a member in order to apply for scholarships offered by other state or territory organisations or the national body, Australian Federation of Graduate Women. For more information about the scholarships offered by these associations, refer to Australian Federation of Graduate Women. May I Apply For Two Scholarships? No, you may only apply for one scholarship this year, although you may apply again in subsequent years. Note that if you are enrolled in a Masters of Education/Teaching or equivalent, you should apply for the Education category of scholarship only. If I Have Other Scholarships Or Awards May I Apply For One Of Graduate Women Victoria Scholarships? Yes, you may apply if you have other awards and/or scholarships, but you will be asked to include information about other scholarships in your application. Do I Have To State What The Scholarship Money Will Be Spent On? Not directly but the expectation is that the money will be spent to assist you in your studies. Does Graduate Women Victoria Offer Grants For Travel? Graduate Women Victoria does not offer any grants for travel but there is no reason why a winner could not spend some of the monies received on travel to conferences or field trips relevant to the project/program for which they have sought support. Where Can I Find Out About Similar Scholarships? Scholarships are also awarded by State and Territory Associations affiliated with the Australian Federation of Graduate Women. For scholarships offered by Graduate Women International and other national associations affiliated with that organisation, see Graduate Women International. Please note: You must first login with a username and password to begin your application. You may save your work and exit at any time if you have not completed your application. You will not be able to submit your application until you have completed all the required steps including uploading documents. Applications must be submitted online by midnight on 31 March. Late or incomplete applications will not be accepted. Applicants are not required to pay an administration fee. What Do I Need To Send With The Application? The items which must be uploaded with your application are described in the information provided for each category of scholarships. Note that hard copy documents should be scanned and saved in pdf format ready for uploading. What Academic Transcripts Do I Need To Include? Include scanned pdf copies of transcripts in English of all completed or partially completed studies at university anywhere in the world or – where applicable – transcripts from other tertiary studies or secondary school results. Include academic results in current course (if applicable). A scanned pdf copy of an Australian Higher Education Graduation Statement (AHEGS) is also acceptable. What is an Australian Higher Education Graduation Statement (AHEGS)? The AHEGS provides a description of the nature, level, context and status of studies completed. It is only issued on completion of an award, so differs from an academic transcript which can be issued at various stages of your program. Its purpose is to assist in recognition of Australian qualifications, and promote international mobility and professional recognition of graduates. The university you graduated from may be able to provide you with an AHEGS if you are a recent graduate. What Evidence Of Disadvantage Do I Need To Supply? You will be asked during the application process to upload documents demonstrating your disadvantage. These should be no more than 6 pages, scanned (pdf) copies of the original documents. What should I include in my personal impact statement? Your personal impact statement should explain the nature of your disadvantage and the effect it has had on your study. Examples of personal impact statements and documentation are given below. Jane uploads a copy of her Centrelink card and a letter from the Disability Liaison Officer at her university to her application. Mary uploads a copy of her Centrelink card and the invoice from the Child Care Centre to her application. Lee uploads copies of her own and her husband’s income tax assessments and of her certificate of Australian citizenship. Anne uploads a letter from her mother’s doctor indicating her responsibilities for her care. Her address on the application form and university documents gives evidence of geographical isolation. What Do I Need To Do About Referees’ Reports? You will be asked to provide the names, positions and email addresses of two referees. Please provide each referee with the Information for Referees GWV Referees will be emailed a request to upload a confidential reference. For the Marilyn Godley Scholarship for an Indigenous Undergraduate, one reference must be from a member of the Aboriginal and Torres Strait Islander community and one from an academic teacher. You may wish to contact the Aboriginal Liaison Office or equivalent at your university. For most scholarships, two academic references are required. If you have recently returned to study after an interval, one employment reference and one academic reference will be acceptable. Can I edit my application once I have submitted it on the website? No, once the application is submitted, no further changes can be made. However, until you actually submit, you can save your work, exit and return as often as you like. Applications are assessed by panels of academic examiners who recommend the winners on the basis of academic achievement and potential, balanced against the disadvantages experienced. Successful applicants will be advised by late May. Other applicants will receive an email to their university email address by early June. Will All Scholarships/Bursaries Advertised Be Awarded? Graduate Women Victoria reserves the right not to make any of the awards advertised on this website. It is anticipated, however, that all scholarships and bursaries advertised will be awarded unless exceptional circumstances apply. Can I Request The Reason Why I Was Not Awarded A Scholarship? No. All decisions are final and no correspondence or discussion will be entered into. How Are The Scholarships Presented To The Winners? Each winner will be presented with a certificate and a cheque at a ceremony held on Scholarship Day, normally on a Saturday in early June. Winners must attend and are asked to speak briefly about their studies and careers. The audience includes family members, donors and representatives of the universities where winners study. How Is Money Raised For The Scholarships And Bursaries? Graduate Women Victoria scholarships and bursaries are funded from generous bequests and donations from members and friends to a fund first established in 1920. 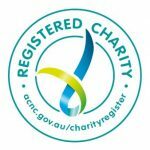 Our funds are held in trust by the Australian Communities Foundation. Tax-deductible donations may be made to the Graduate Women Victoria Scholarship Sub-fund using the downloadable GWV scholarship donation form. My Question Is Not Answered Here, Where Can I Get Assistance? If you still need assistance, you may email enquiries@gradwomenvic.org.au. Include the name of the scholarship you are applying for in your email. Please note: Graduate Women Victoria Scholarship program is run by volunteers. We will answer any queries as quickly as possible.